As Easter approaches, we recognize traditional symbols associated with our observance of this Christian holiday woven into Native American art and beliefs. For those of you interested in these cultures, let’s touch on the symbols of Crosses, Bunnies and Baskets, commonly seen at this time of the year, and the special meanings they hold for Native American people. Catholicism traveled with Spanish missionaries to the North American continent and because of conditions at the time, many Native Americans adopted those beliefs. 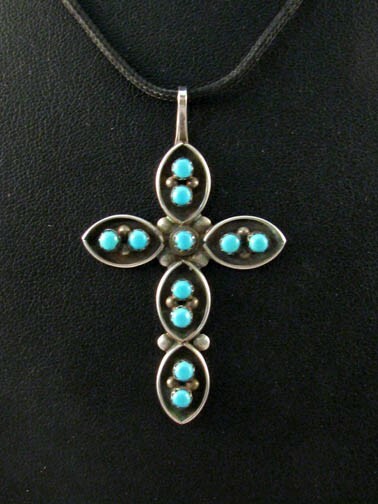 The Spaniards shared the symbol of the cross and silversmith techniques with the Navajo communities and tribe members reproduced the crosses in jewelry adorned with traditional Navajo designs. The Double-Bar Cross design was similar to the Dragonfly symbol of the Pueblo Indians, and they created jewelry in this likeness. Sometimes called the Pueblo Cross or the Isleta Cross, they crafted many of these crosses to include a full or partial heart shape at the bottom. While this heart may have religious meaning, alluding to Christ’s sacrifice and goodness, it might instead suggest the generous heart of the dragonfly who Native people say deeply loves their people. Many cultures associate the bunny with the Easter holiday, representing the rebirth that spring brings. Native American artists have offered rabbit symbolism in the form of totems, fetish carvings and vase designs. In Native American culture the rabbit symbolizes the ability to let go of our deepest fears and to focus on the good in our lives. Legend of the rabbit also teaches the power of friendship, gratitude for our friendships and how both our actions and inactions can affect our lives. 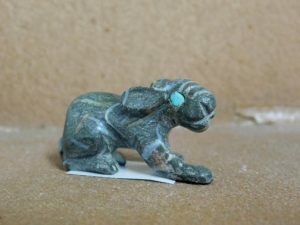 Zuni artists often carve fetishes in the rabbit’s likeness using a variety of interesting stones such as deep green ricolite; brown, black and grey Picasso marble; and pastel pink dolomite. Interestingly, the rabbit is not a traditional animal for the Zuni; however, they believe the rabbit totem brings blessings for the family and offers pregnant women protection for safe childbirth and longevity for their children. We could not speak of Easter without thinking of baskets! In Native American culture, baskets are so much more than something for collecting colored eggs and candy. Basket weaving is one of the oldest crafts in these cultures. The materials, methods, colors and designs used for making the beautiful handwoven baskets are unique to each tribe. Local plants available to the weaver influence the actual construction. For example, Northeastern Indians use pounded ash splints or braided sweetgrass. Wicker made of river cane or from bundled pine needles forms baskets from the Southeastern Indians. The Southwestern Indians weave with sumac or willow. Northwest Coast Indians create their baskets with bark from cedar trees, swamp grasses and spruce tree root. The Northern Indians of Alaska craft with birch bark and whale baleen, a material obtained from harvested whales! 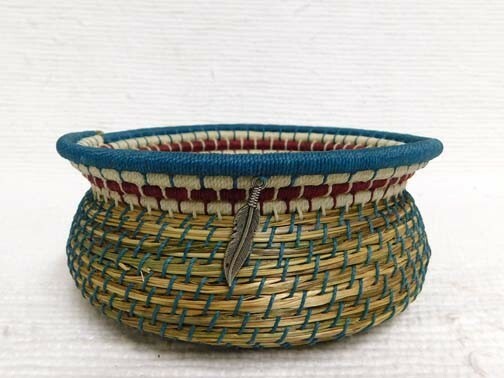 The unique materials and weaving techniques allow these strong, durable baskets to withstand the test of time and the families pass these treasured heirlooms from generation to generation. For Native Americans, basket weaving has always been a sacred and necessary tradition. Baskets not only aid with nearly every task of daily life such as carrying food, water, and clothing but also represent the tribes and their stories and serve as a testament to the heritage these people carry in their hearts. As we explore Native American culture, we learn the ways that each piece of their handcrafted art carries unspoken reverence for their customs, their legacy and their unforgotten way of life. If you have any questions about our vast collection of Native American artifacts and pottery, please give the Kachina House team a call at 800-304-3290 today! 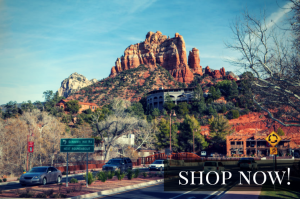 ← Kachina House is Celebrating their 15th Anniversary with 15% Off Every Item in the Store!